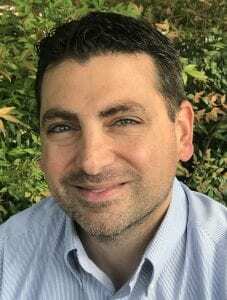 Introducing Dr. Matthew Terzella - Piedmont Physical Medicine & Rehabilitation, P.A. As of May 15, 2017, Piedmont Physical Medicine & Rehabilitation is pleased to welcome new physician, Matthew Terzella, MD to the team. Dr. Terzella attended Williams College in Williamstown, NY where he graduated with honors. He completed his medical degree at New York Medical College in Valhalla, NY and interned at Stony Brook University Hospital in the Department of Internal Medicine in Stony Brook, NY. Dr. Terzella completed residency training at the UMDNJ-Robert Wood Johnson, JFK-Johnson Rehabilitation Institute in Edison, NJ in the Department of Physical Medicine and Rehabilitation, where he was elected chief resident. Upon graduating, Dr. Terzella also completed a fellowship in Interventional Spine and Sports Medicine in Scottsdale, AZ. He is a member of the American Academy of Physical Medicine and Rehabilitation and American Medical Association, and is board-certified by the American Board of Physical Medicine and Rehabilitation. After practicing for years in Spartanburg, he has decided to join our practice and is dedicated to offering patient centered care in a shared decision making model. We are excited to welcome him on board as Dr. Terzella brings with him experience and new techniques to the field. While continuing the Piedmont PMR tradition of comprehensive pain management, Dr. Terzella also offers a variety of fluoroscopically guided interventions such as epidural steroid injections and peripheral joint procedures. These include radiofrequency ablation for both spinal and knee pain. In addition, he is eager to further the use of regenerative techniques in the management of chronic pain.